"It's been more then an experience. Professional knowledge and expert crew really got my trust." 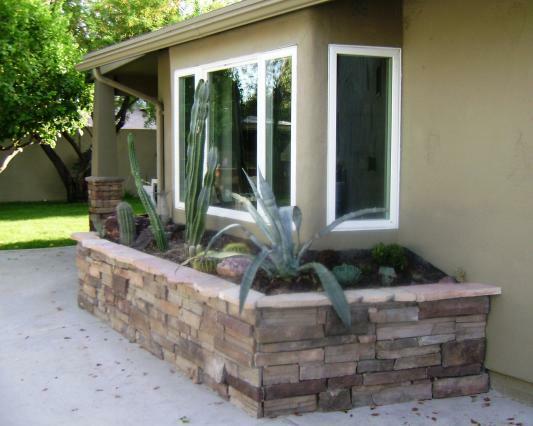 "As a remodel contractor, I've been buying windows and other products from SoCal for years now. 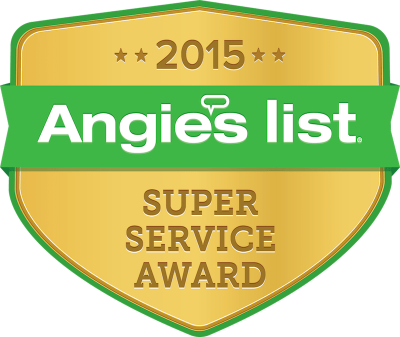 I buy from them over and over because of their price, knowledgeable staff and great service." 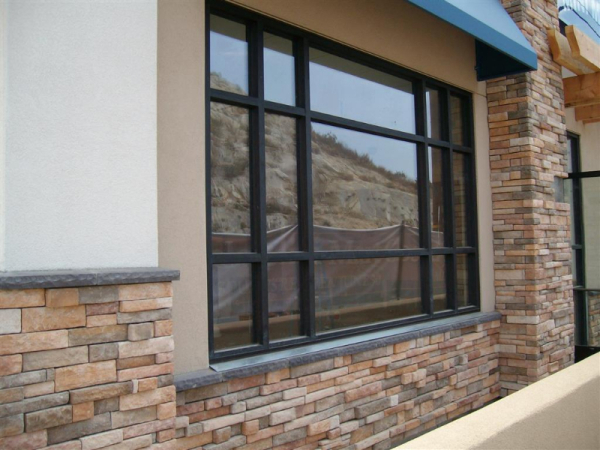 The advantages of vinyl windows are: Lower energy costs. Vinyl windows keep heat in during winter and out during summer. ... Maintenance free. Vinyl windows are nearly 100 percent scratch free. ... Inexpensive. Vinyl is the least expensive of all window materials, but this doesn't mean vinyl windows are low quality. ... Variety. 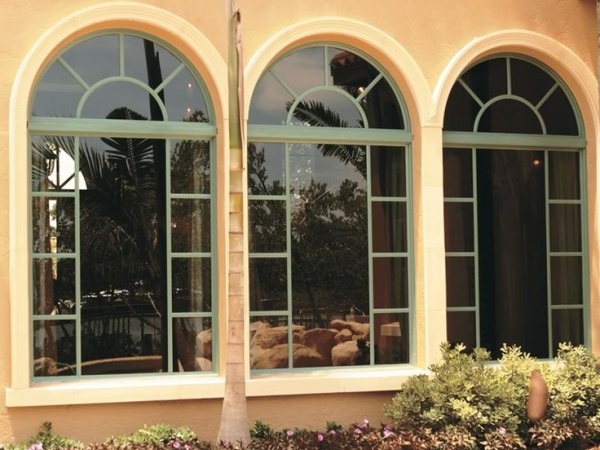 Fiberglass windows offer a number of benefits to prospective window buyers that other window varieties do not. While all types of windows today can incorporate energy efficiency features to decrease your home’s energy consumption, none can match the energy efficiency benefits offered by fiberglass frame windows. Fiberglass is a very poor conductor of heat, meaning very little heat will transfer into your house in the summer time and very little will transfer out in the winter months. Fiberglass is also a very resilient material that is not susceptible to extreme temperatures. In fact, fiberglass will expand and contract 800 times less than vinyl in extreme temperatures. This is advantageous because it means that your windows will fit snugly in the frame year round—minimizing airflow into and out of your home from around the frame. Finally, fiberglass requires virtually no maintenance. Fiberglass won’t warp, fade, crack, rust, or rot like wood or vinyl windows. With a simple wipe down, fiberglass windows should look like-new for years! Wood Clad Windows from Milgard give you the beauty of natural wood combined with the durability and ease of fiberglass. Wood Clad Windows have an interior facing traditional wood frame paired with a weather resistant fiberglass exterior frame.This allows the inside to be painted or stained and gives the window all the insulating benefits of wood. 1. Durability Aluminum is much stronger than vinyl window frames. 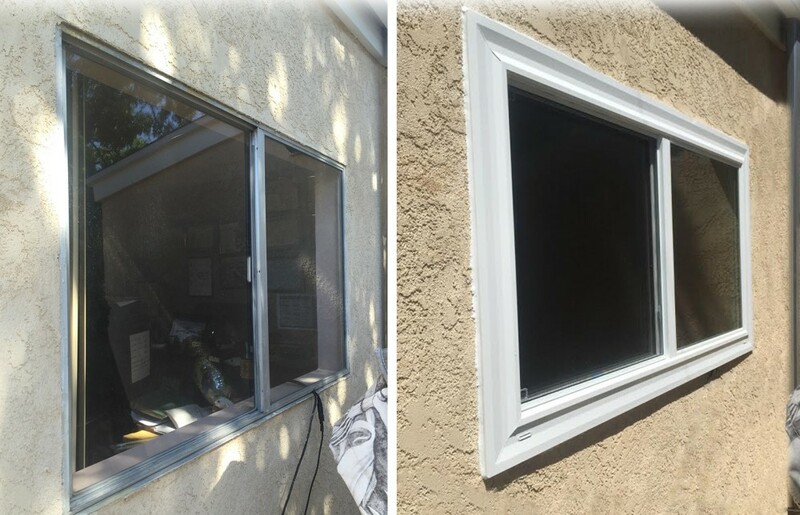 Once they have been professionally installed, an aluminum window is very difficult to dislodge. 2. Low Maintenance They are a low-maintenance choice for your home. They are resistant to cracking, splitting, shrinking, dents, and rust. 3. Noise Reduction This type of window has much more mass than a vinyl window of a similar size. For this reason, it will keep more external noise from penetrating your home because they are three times heavier than vinyl, and a much stronger substance. If you live near a busy highway, shopping center, school, or a park, having windows that will keep excess noise out of your home will help to make your home a much more pleasant place to be. You and your family will be able to relax and enjoy yourselves without being unduly disturbed by outside sounds. 4. Variety of Colors Available They are available in a number of colors and sizes. You can find them in several pre-set shapes, and custom order are also available to suit the specific dimensions you require. 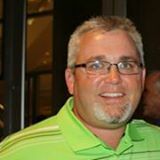 "Two years ago, we order windows from them and last week we called them again to order patio doors. They know their stuff and nobody else was able to beat their pricing." Shopping for Windows: Wood, Fiberglass or Vinyl? Learn about the materials that make windows work harder. 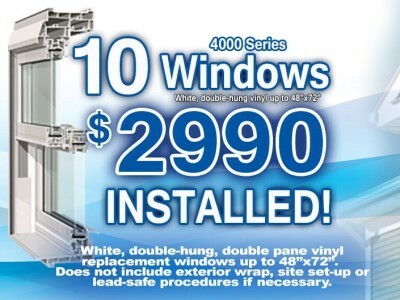 If you've started the process of shopping for windows, you've probably run into a lot of questions. How important is energy efficiency? Which window is best for my home – casement or double-hung? (Or something else?) What do the numbers on the label mean? And so on and on ... and on. One of the most important questions to consider as you shop for windows is this: Which material is best for my home? Wood, fiberglass and vinyl are the most common choices, and each has its own unique attributes and distinctive styles. And keep in mind, all three materials offer the energy-efficient options that will meet or exceed ENERGY STAR® guidelines in all 50 states. So, how do you make the decision? First, think about the features and benefits that are most important to you. Then select an options that works within your budget, lifestyle and climate. Before you make a final decision, be sure to see the different materials in person. There might be some aspects of a material's appearance, style or construction that you like – or dislike – more than another. Because your satisfaction is important! The most important growth in any business is customer satisfaction. We model ourselves with one goal in mind...Your Satisfaction! 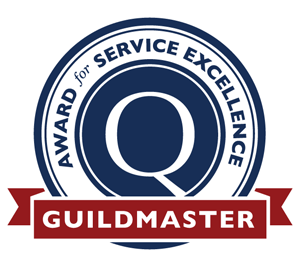 Click below to receive free estimate on your windows. We come to you and help you choose the perfect windows for your home.